Theirs is one of the most distinctive and recognizable sounds in the music industry. 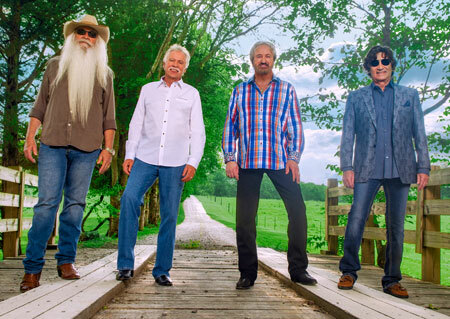 The four-part harmonies and upbeat songs of The Oak Ridge Boys have spawned dozens of Country hits. Every time they step before an audience, the Oaks bring four decades of charted singles, and 50 years of tradition, to a stage show widely acknowledged as among the most exciting anywhere. And each remains as enthusiastic about the process as they have ever been.